The Interim Board of Directors has just announced that the first Shareholders Meeting will take place on Thursday, March 8th at 6 pm at Harrietstown Hall in Saranac Lake. We’re happy to share the news that we’ve just brought in a number of new items that community members have been asking for: Men’s Boots, Men’s Suspenders, more styles/sizes of Ladies’ Wrangler Jeans and some colorful Bath Sheets. Please keep the suggestions coming…. Everyone’s invited to The Community Store’s First Annual Red Heart Yarn Event on Valentine’s Day, February 14th from 9 am – 6 pm. * Call for Submissions – We invite local knitters to submit their products for the Exhibition. 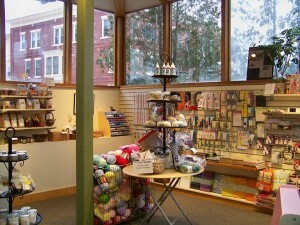 We’ll include up to ten submissions of hand-knitted items on a First Come, First Serve Basis. Just drop it off at the Store by January 25th. The public will have a chance to vote on their favorite items between Jan. 27th – Feb. 14th and a first and second place winner will be chosen on the 14th. For questions, contact Stephanie DeJoseph at 354-8173. 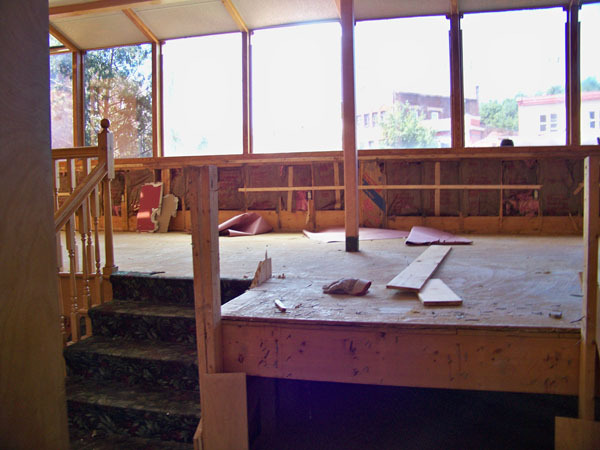 North Woods Engineering has completed the drawings for the renovation of 97 Main St. This paves the way for renovation of the site to begin. 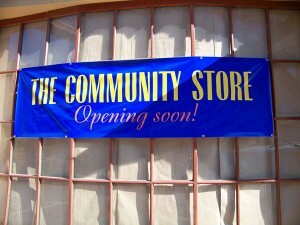 We’re hoping for a Store opening late this summer. 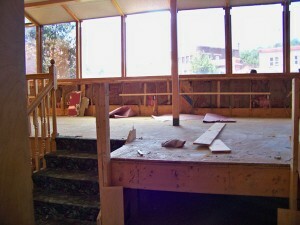 There are a few more things to finalize before an official statement can be made. Following commencement of operations last month, The Community Store board moved quickly to formalize operations, announcing the hiring of Craig Waters as manager and Stephanie DeJoseph as Assistant Manager. Craig and Stephanie will be busy in the coming months, hiring additional staff and moving the Store from idea to reality. 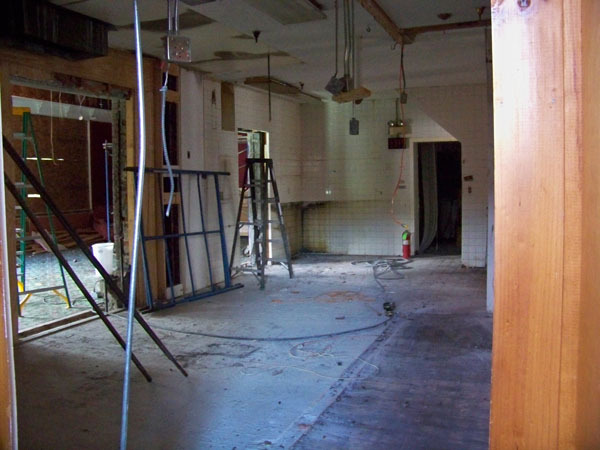 The Store also signed a lease for 97 Main Street this month, so we’re poised to move forward. 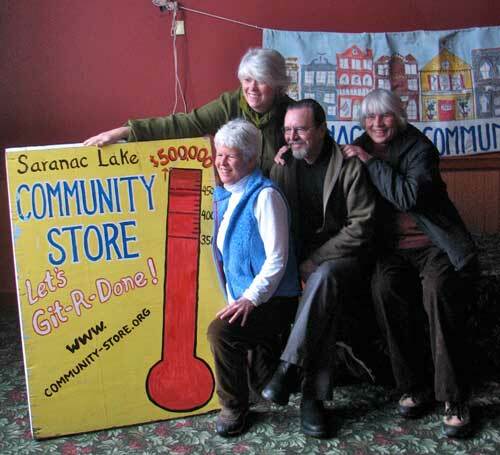 This month The Community Store passed the $400,000 mark and announced its official name: The Community Store in Saranac Lake. This month, following an event held at Pisgah Lodge, the community store passed the $300,000 mark, with total of $311,500 raised to date.